month is as easy as a few clicks. How it works is that a blogger recommends a product to her/his readers, when a purchase is made, the blogger gets her/his cut in form of a commission. To be able to earn from a company, you need to have a partnership or some form of agreement. Each link is tracked by a cookie to determine which affiliate sent the sale. Some companies have cookies that last for just 24 hours (e.g. Amazon) which means that an order has to be made within 24 hours of sending a visitor to the online store for the marketer to get a commission, while others like Jumia last for as long as 30 days. The percentage of the commission varies from company to company and even from product to product. Jumia Kenya is one of the online stores that offer affiliate marketing in the country. Another one is Kilimall but we’ll discuss it in a future post. 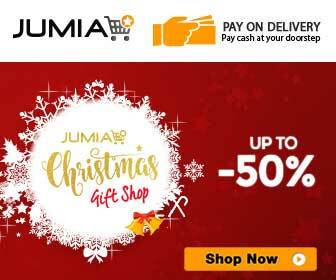 The most positive thing about having a partnership with a big online store like Jumia Kenya is that you get to sell products on your site without ever having to deal with inventory, and two, there are so many products that you will find the perfect ones to promote no matter which niche your blog falls under. Your application will be reviewed and you will receive an email confirming your partnership into the affiliate program. You will then get access to your very own Affiliate Partner’s account where you will be able to generate links, get codes for banners to add to your site, track your conversions and commissions, and receive payments at the end of the month. Once your application has been approved, you will be able to receive newsletters in your email with all the information you need to start earning from your blog. Carefully go through the information you are sent to at least get the basics as far as generating links and adding banners to your blog are concerned. Though we will get into the details in a later post, it is important to just mention the tools used to send shoppers from your blog or social media profile to Jumia Kenya which translates into money in your pockets. Banners are normally placed below the header of the blog, at the footer or on either side of the blog’s sidebar. In your Partner’s dashboard you will see a menu called ‘Tools’ and that is where the banners are. Just choose the banner you want, the dimensions and grab the automatically generated code and add it to your blog. (I’ll show you how you go about this later). Below is a banner I have just generated for the ongoing Christmas Sale. This are used when you are writing a narrative and you include the name of the product with a link to the merchant’s site. Text links have the highest conversions because they appear very natural in your blog post. 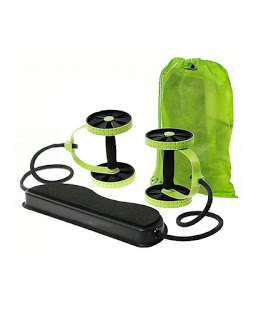 I received the Xtreme Fitness Exercise Trainer about a week ago and I’ve never been happier with an all round workout product. It gives me the resistance I need to increase the intensity of my crunches and leg raises. The grip on the rollers is steady and the support on the kneel very comfortable. My core is getting tighter and well toned… The trainers key features tell it all. This is where you add the image of the product in the review and link to the merchant’s site. Image links work best when added alongside text as shown below. Intense, yet effortless core training! Among the parts of the body it targets are abdominal muscles, arm muscles, back muscles, shoulder muscles, glutes and thigh muscles. The ‘Buy Now’ button is the ultimate call to Action. Once your reader has read and is impressed with your review or mention of the product and how it can impact on his/her life. It is time to tell them what the next step should be; to make an order. And what better way to do that than to tell then ‘Buy Now’? We’ll be discussing a lot more on how to earn from your blog through Jumia Affiliate program in a later post. Bookmark to come back later, and don’t forget to subscribe to receive new posts straight to your inbox. 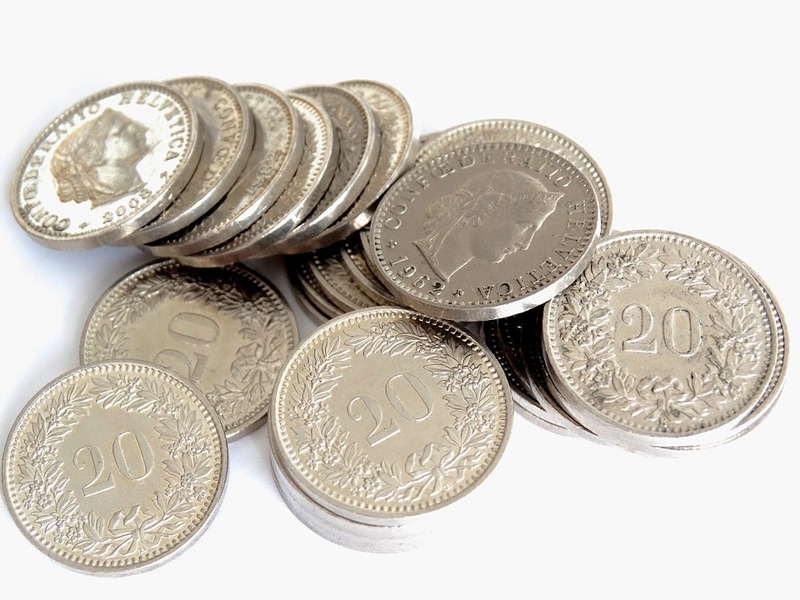 Do not forget about Binfer's affiliate program. More info here: See http://www.binfer.com/affiliates. Best thing I have read this year. How much can I get if somebody purchases 10000 worth item? Do you want to know How Can I Make Money Online from home without investment? Check 18 Simple, Best & Legitimate ways to make $100 or more money. Very helpfull share……As an entrepreneur or a marketer, the risk for you to use affiliate marketing is extremely low and the reward is high. You only need to pay affiliates when a customer converts, not when they drive people to your website. 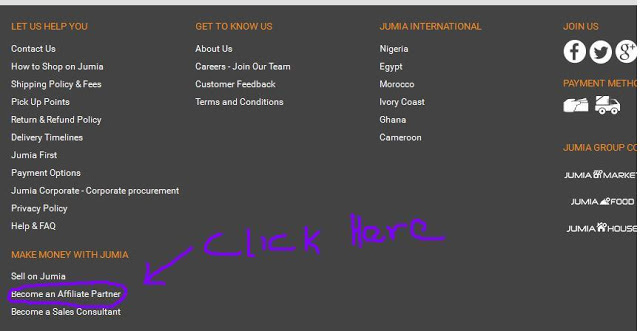 Jumia seems like a very solid network and will give them a shot! For the guys in the adult niche tho I can suggest trying this network if you want to make money from your websites.